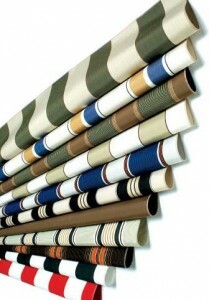 The Details Matter At Dutchess Awnings! No matter what you’re buying, details matter. That’s why at Dutchess Custom Awnings we pay close attention to the details of each and every awning and sun shade order. Everyone has heard the expression “it’s the little things that count”. That is certainly true with awnings and sun shades. Let’s start with our initial meeting. When you meet with someone from Dutchess Custom Awnings, placement, size and type of shading solution is discussed before a recommendation is made. While some companies offer awnings and sun shades of varying quality, Dutchess Awnings only offers the best available. 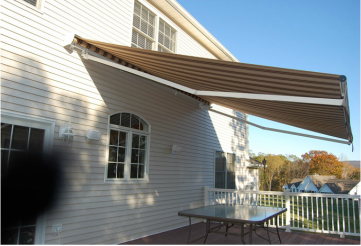 We assemble these high quality components and the result is an awning or sun shade that will serve you well for many, many years. While other fabric companies are available to us, Sunbrella and Sattler, the two best known companies offering woven acrylic awning fabric, are the two companies we use for all our awnings. Durability, water repellency, breathability and beautiful style are characteristics of woven acrylic and there are hundreds of styles and colors from which to choose. The Skin Cancer Foundation Seal of Recommendation has been given to Sunbrella because of the protection this fabric offers. 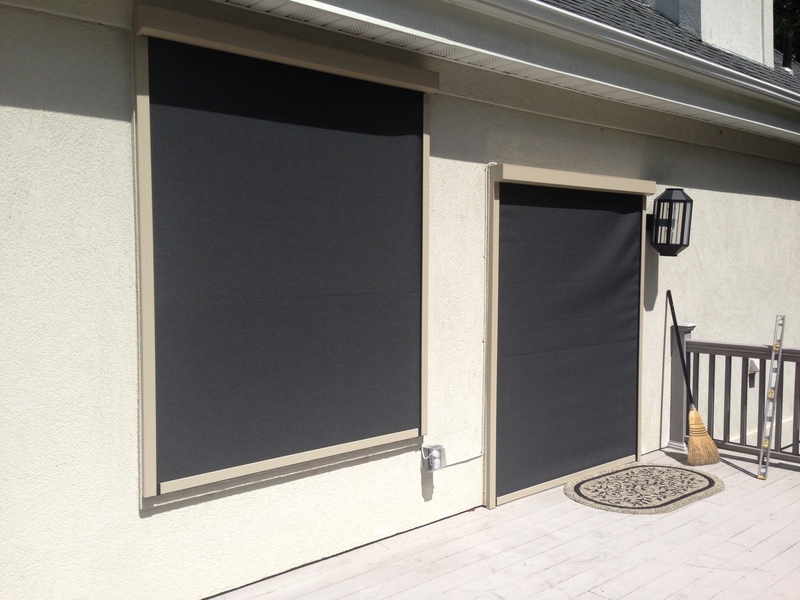 The SunStopper Shade System offers interior roller shades, exterior screens and zip screens, using GreenGuard approved fabrics from Mermet with the best warranties available. Once again, only the best! 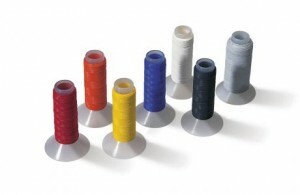 Thread is an important component of every awning and we only use Tenera thread. 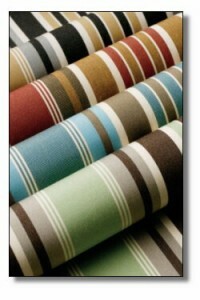 Tenera will not shrink and cause “pulling” on your awning fabric. This thread is such an important component of your retractable or stationary/patio awning that the Gore Company offers a lifetime guarantee for their Tenera Brand thread. 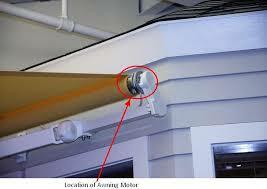 When considering a retractable awning, most of our customers opt for a motorized unit. We always use a Somfy motor because Somfy is the world’s leader in the manufacture of motors and control systems for retractable awnings. 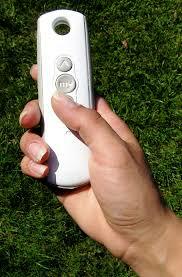 Somfy motorized controls offer ease of operation and comply with UL safety standards. 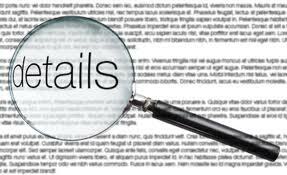 Also, Somfy has achieved ISO 9001 certification in 1005 and safety approval from Underwriters Laboratory. 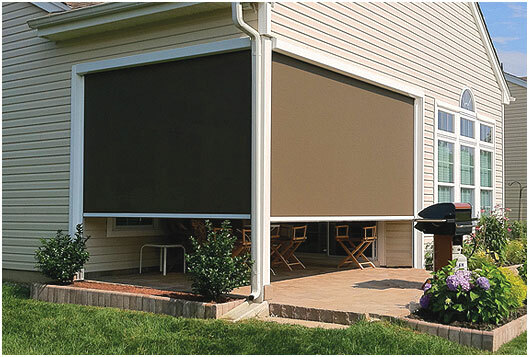 At Dutchess Custom Awnings we listen to your needs and concerns and work closely with you to achieve optimum shading results for your patio, deck or pool area. Visit our showroom at 1075 Route 82, Suite 7, Hopewell Junction, NY. We have fifteen different types of awnings on display so you can easily visualize how the awning or shade screen will look on your home or business. If you’re on Facebook, “like us” and, of course, we welcome your calls at (845) 226-3039. We’d love to hear from you.